Not surplus, these are brand new and unused, very well made and tough units. 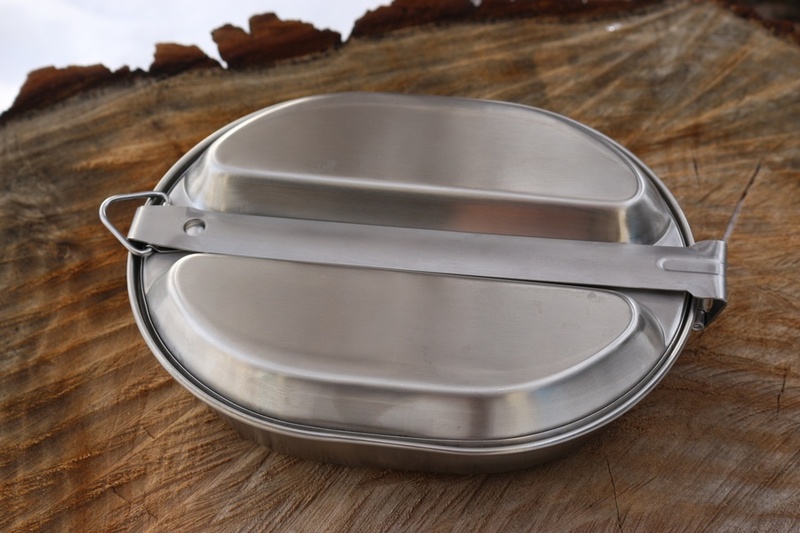 They are very similar to the US style GI Mess tins and are made from Stainless steel, with a main dish with long handle and a second dish with x2 compartments. The two halves fit togther with the long arm acting as a pinch, when in transport. Tough, well made and practical. 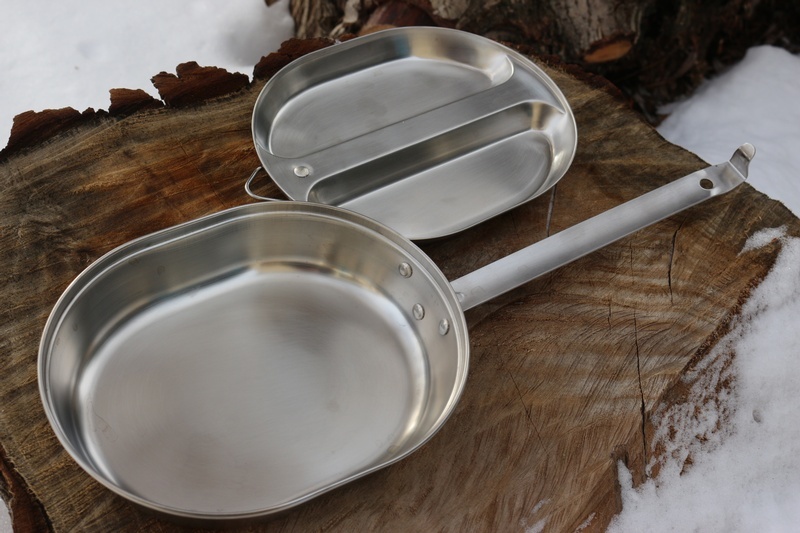 Purchase through PayPal by using the "Add To Cart" button above or use the form below to order the Stainless Steel Mess Tin . 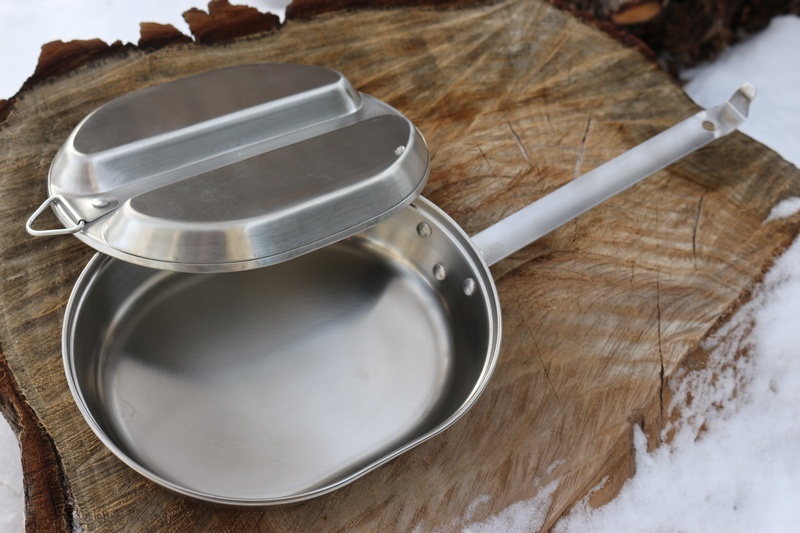 Feel free to contact us if you have any questions about the Stainless Steel Mess Tin .